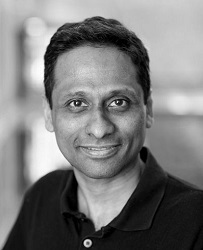 Arvind Krishnamurthy is a Professor of Computer Science and Engineering at the University of Washington. His research interests span all aspects of building practical and robust computer systems. He received his PhD in computer science from UC Berkeley, and was an assistant professor at Yale before joining the University of Washington faculty. His research interests include distributed systems, networks, security, operating systems, and parallel computing, and his recent work is aimed at making improvements to the robustness, security, and performance of Internet-scale systems.